The teaser trailer of Taranath Tantrik, released on January 7 on YouTube, gives a glimpse of the title track, which is heard every time the protagonist Taranath, an occult practitioner, appears on screen. “It’s the track that announces that Taranath is embarking on an otherworldly expedition,” said Q. The three-and-a-half-minute title track features five layers of double bass. A double layer of melody is bowed in on a setting of low drones and short, sharp arcos. “This phrase [dual melody] actually [refers to] the same melody played in two different pitches,” explained Mahalanobis. “When heard together, they sound a little out of tune, creating the ominous effect.” There is no pizzicato, or plucking, in the piece. The entire track creates a sense of impending doom, which is heightened by the jerky nature of the often-eerie visuals of the series. Taranath Tantrik is the first Bengali series to feature a double-bass-driven title tack. The web series is based on a character created by Bengali novelist Bibhutibhushan Bandyaopadhyay in the 1940s and carried forward by his son Taradas Bandyopadhyay. “The character Taranath is less haunting and lighter in the book than in this adaptation,” said Mahalanobis. “The way Q introduced him led me to this dark melody that we recorded around midnight.” The evening when Q described his vision of Taranath to Mahalanobis, the two were seated in the garden outside the studio, talking about black magic and aghoris, as a light bulb flickered in a dark corner. Taranath Tantrik, which features 10 episodes, was released on the video-on-demand site Hoichoi on January 19. Tthe trailer of a contrabass-sitar duet piece on the raaga Bhimpalasi where he has only used the pizzicato or plucking technique. Video courtesy: Debjit Mahalanobis/Facebook. For about six years, Mahalanobis had no instrument of his own because it wasn’t being imported to India. He would go to the home of his teacher, celebrated music conductor Abraham Mazumder, every time he wanted to practice. This changed when he met a luthier who agreed to make the instrument with the bridge and neck adjustments Mahalanobis needed. It took them three years to get the combination of wood right to make sure that the fretless fingerboard doesn’t bend due to moisture. Though music was his passion, the luxury of making it his day job came much later. After a master’s degree in computer application, he joined a private school in Kolkata as a physics teacher in 2013. “I don’t come from a family of musicians,” he said. “It was important for me to earn a living after finishing college, and I didn’t want to become an information technology professional.” The teaching job came as a blessing because not only did he enjoy it, the school holidays and convenient timings gave him ample free time to practise his music. Mahalanobis quit the teaching job in 2015. The following year, he formed a jazz band called Cadenza with two musicians he had met at the Calcutta School of Music. This marked the beginning of his experimentation with other genres, and since then, Mahalanobis has been infusing the rich, demanding sound of the double bass in electronic music, folk music, Bollywood music and compositions of Rabindranath Tagore. The most unique of his experiments, however, are with Indian classical music. In a couple of collaborations with sitar player Snehesh Nag, Mahalanobis played the taanas on the double bass complementing the sitar, just like in a traditional jugalbandi. He never deviated from the note structure of the raga, and often filled up the pauses of the sitar. 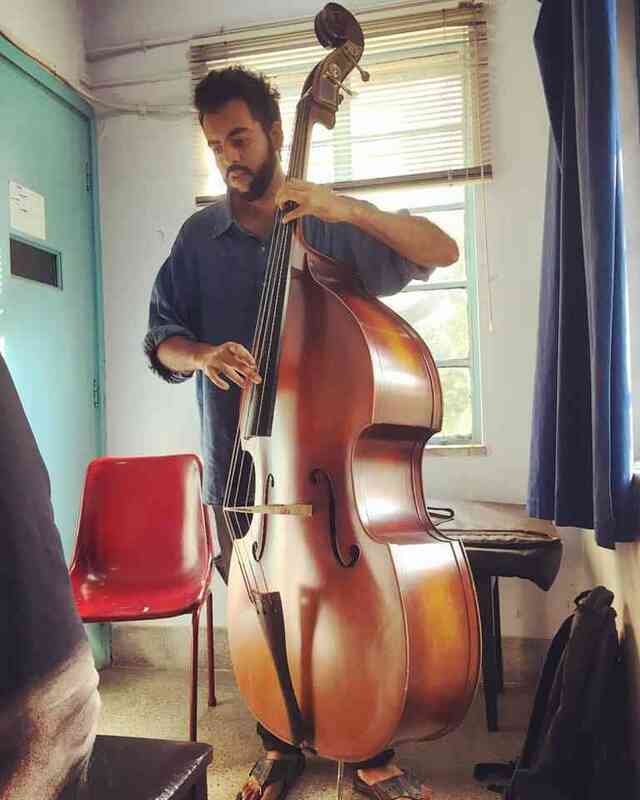 “I want to use the double bass prolifically as a dhrupad instrument,” he said. “It has suitable depth and patience.” In a bid to expand his musical repertoire, Mahalanobis started studying Hindustani classical music with sarod maestro Prattyush Banerjee last year. A jhala on raaga Bhairavi where Mahalanobis has only used the bow. Video courtesy: Debjit Mahalanobis/Facebook. 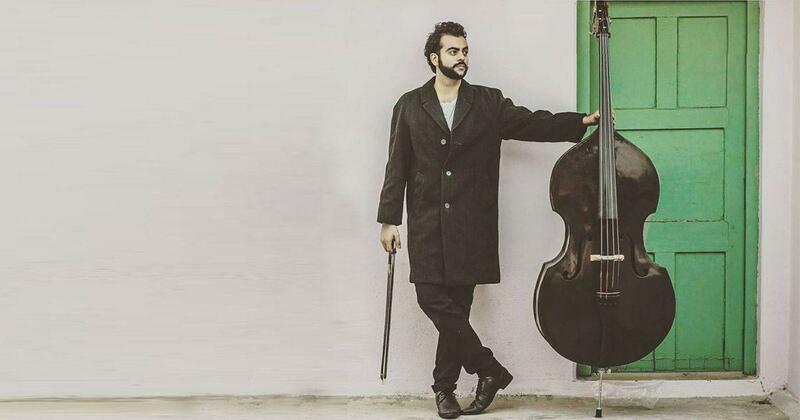 His unique place in the music world – Mahalanobis is the only full-time professional upright double bass artist in Bengal – has afforded him the opportunity to pair up with a cross-section of artists and create some innovative music. In 2017, Mahalanobis appeared as a guest on the popular music reality show Sa Re Ga Ma Pa on Zee Bangla. The same year, he gave a sufi performance on television with the music collective Murshibadi Project. Another achievement was playing the double bass with a Bangla song for Friday Night Originals, a YouTube channel that tries to “bring independent music into the limelight”. Video courtesy: Good Morning Aakash/Facebook. In 2018, Mahalanobis formed a group with electronic music producer and sound synthesist Varun Desai called Strings and Circuits. They were joined by Dibyakamal Mitra on the violin/mandolin. Their music explores the intertextuality of digital and analogue. They say they are working on an EP, which has got “sounds that are very emotive and would fit well in a film score with an electronic ambience,” said Desai. 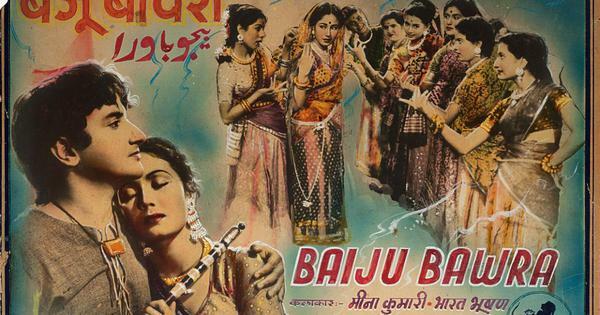 One of Mahalanobis’ most memorable compositions, a collaboration with vocalist Malini Banerjee, featured a song written by Tagore. This was the first time a Rabindra Sangeet was arranged with just the double bass. This collaboration finally culminated in a bolly-jazz band called Mixed Signals, which performed in December 2018 at The India Story 4.0, the fourth chapter of a yearly exposition that brings together lifestyle, food, design, arts and music performances. The band continues to recreate popular Hindi numbers by giving them a jazz twist.